A flurry of executive orders has been signed into law by US President Donald J. Trump since his inauguration. One day, US participation in TPP is finished by decree, the next day the building of a “Wall” on the Mexican border is authorized, on yet another a temporary ban for entry into the United States for foreigners from seven designated countries is announced. One of the first executive orders of the Trump administration concerned an item which figured high on Trump’s lists of priorities during his campaign: ending federal funding for so-called “sanctuary cities”. In his executive order of 25 January 2017, President Trump states that “sanctuary jurisdictions across the United States willfully violate Federal law in an attempt to shield aliens from removal from the United States.” He continues to note that “these jurisdictions have caused immeasurable harm to the American people and to the very fabric of our Republic”. The main thrust of the order is to withdraw federal funding from sanctuary cities if compliance with federal immigration law, more precisely a provision on information-sharing in 8 U.S.C. 1373, is refused. The concrete formulation in the order is that “the Attorney General and the Secretary, in their discretion and to the extent consistent with law, shall ensure that jurisdictions that willfully refuse to comply with 8 U.S.C. 1373 (sanctuary jurisdictions) are not eligible to receive Federal grants, except as deemed necessary for law enforcement purposes by the Attorney General or the Secretary” (Sec. 9 (a)). This order raises a number of difficult questions. First of all, the concept of sanctuary cities itself is not a well-defined notion in US law. Sanctuary cities understand themselves as cities which use existing leeway in the regulatory framework to be accommodating to immigrants regardless of their immigration status. So far however, sanctuary cities have not resisted deportation of illegal aliens, something which would clearly not be within their powers. What self-proclaimed sanctuary cities do is not to require documentation or information on the immigration status for certain basic services that cities offer. According to experts in US constitutional and administrative law, this is within their powers as there is no federal legislation requiring the local level to report the migration status of persons who apply for local services. 8 U.S.C. 1373 seems to prohibit the local level from refusing to comply with existing duties to inform the federal level about issues of immigration status. It does not, on the face of it, establish such duties of information for the local level. What is more, critics of the executive order also point to the 10th amendment to the US Constitution. This clause provides that “The powers not delegated to the United States by the Constitution, nor prohibited by it to the states, are reserved to the states respectively, or to the people.” Effectively empowering local officials to “perform the functions of an immigration officer in the interior of the United States”, as Sec. 8 of the order provides for, is difficult to reconcile with this basic principle of the division of competences between the federal level and the states. In a 1997 decision of the US Supreme Court, it was the late Justice Scalia who formulated the rationale behind this amendment most forcefully. In a case concerning registration of gun ownership, he wrote in his opinion that what is at stake is the “preservation of the States as independent political entities” (Printz v. United States, 521 U.S. 898). The practical impact of the order is not all that clear as well. Also in Printz, Justice Scalia summarized the relevant Supreme Court jurisprudence to the extent that “the Federal Government may not compel the States to implement, by legislation or executive action, federal regulatory programs”. A narrow interpretation of the order would therefore focus on its wording and the saving clause “to the extent consistent with the law” (Sec. 9 (a)). Such an interpretation would not leave a lot of room for action and would thus presumably go against the intention of its author. So what is the ultimate importance of the executive order of 25 January 2017? Its relevance may very well lie more in the symbolic realm. It relates to an ongoing tug of war between the federal government and the state and local levels in the United States. There have been other attempts by the local level in the United States to position itself as an alternative political force vis-à-vis the federal government. Prominent examples from the last two decades include the “local ratification” of the Kyoto Protocol by the US Mayors Association and the “local implementation” of the United Nations Convention against all Forms of Discrimination against Women (CEDAW) in San Francisco and, following this example, many more local jurisdictions (on both issues see my forthcoming book “Das Recht der globalen Stadt”). These examples testify that the current clash between the Trump administration and the so-called “sanctuary cities” is not qualitatively new. Due to the political style of the new administration and all the drama attached to it, the conflict may, however, reach new simmering heights. It may also be more dangerous for the social cohesion of the United States as a political entity. Many of the recently announced policies of the Trump administration raise difficult and troublesome constitutional and international law issues. At first sight, it is hence to be welcomed that local resistance and protest is forming. These are reassuring signs of the vital democracy for which the United States has always been admired for. At the same time, a clash with growing intensity between the federal administration and some of the cities in the United States risks further entrenching the divide between the liberal constituencies on the two coasts of the United States and the “political heartland”. Ironically, a couple of days before the signing of the executive order, the President of the German Association of Cities and Mayor of Ludwigshafen, Eva Lohse, called for a strict application of federal immigration law and a more rigorous enforcement of deportation orders. This is not necessarily a parochial view as opposed to the shining examples of “sanctuary cities” in the United States. Rather, it shows that context matters. Discussions about the deportation of illegal immigrations in the United States take place before a different historical background as compared to the current migration and refugee crisis in Europe. Nonetheless, enforcement of federal immigration laws is of course also a legitimate concern in the United States – and something to which also the Obama administration was very much committed. According to the New York Times, 2.5 million immigrants were deported during the presidency of Barack Obama. Very much will depend on the means with which this concern is implemented. The executive order of 25 January 2017 raises more questions in this regard than it gives answers. 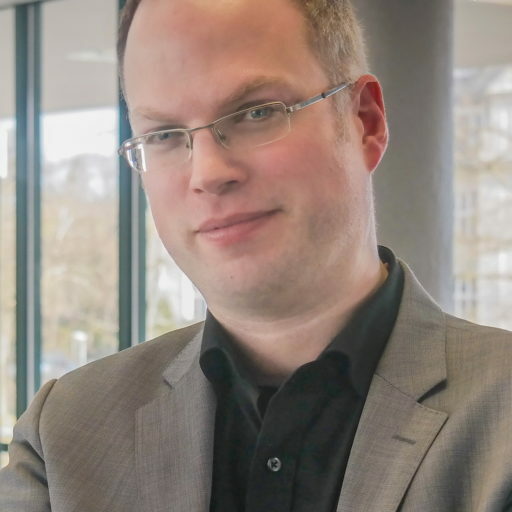 SUGGESTED CITATION Aust, Helmut Philipp: Sanctuary Cities and the Trump Administration, VerfBlog, 2017/2/01, https://verfassungsblog.de/sanctuary-cities-and-the-trump-administration/, DOI: http://dx.doi.org/10.17176/20170201-170635.